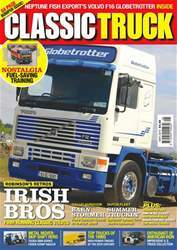 (0 Customer Reviews) | Write Review 13 issues per year Take a trip down memory lane to the 1980s and 1990s and enjoy the range of features on trucking from this era through to more recent times. We look at Classics still at work, how they were received when new, and some rare examples of restored and well maintained lorries. Looking for Classic Truck in print? 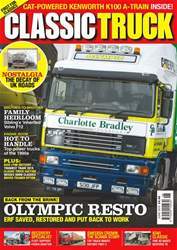 Unfortunately pocketmags.com does not sell print copies of Classic Truck, but all is not lost. Our partner at magazine.co.uk sells print subscriptions at the best prices online. some more odds and ends in our Nostalgia section (page 46). The Fingal Vintage Show is an annual event that takes place in Ireland and is growing in size and stature (page 48), and Wobbe Reitsma has sent us some more superb shots of classics from the Netherlands (see page 50). 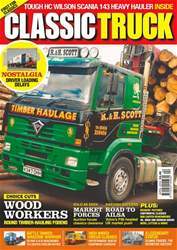 Stephen Forster (page 54) has again come up trumps with some shots of working classics he’s managed to snap while out and about, and we’ve a report on a well-restored Volvo F88 which starts on page 56. Meanwhile, The Vault this month carries a story on an unusual agreement between an American engine manufacturer and a Russian truck maker (page 68). Stranger things have happened – allegedly! We hope you e njoy the magazine. Take a trip down memory lane to the 1980s and 1990s and enjoy the range of features on trucking from this era through to more recent times. We look at Classics still at work, how they were received when new, and some rare examples of restored and well maintained lorries. 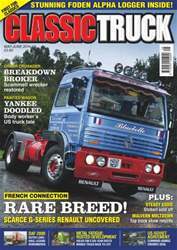 You'll receive 13 issues during a 1 year Classic Truck magazine subscription. 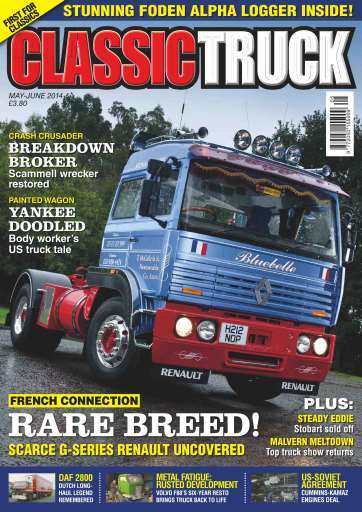 You'll receive 13 issues during a 1 year Classic Truck magazine print subscription.